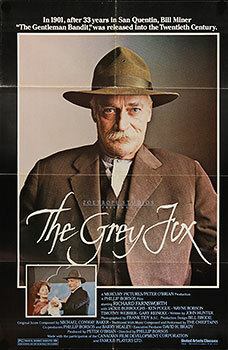 The Grey Fox tells the story of real-life bandit Bill Miner who is played superbly by US actor Richard Farnsworth in this excellent film from Philip Borsos. Bill Miner, who was known as The Gentleman Bandit, has become old in jail, and after some 33 years in San Quentin Prison for robbing stagecoaches he is finally released in 1901. Since being put away the world has changed and so he tries to change with it. He makes the decision to put his life of crime behind him and he heads for Washington state where he hopes to settle down with his sister. But he just can’t adapt to the dull existence of a life lived on the right side of the law. 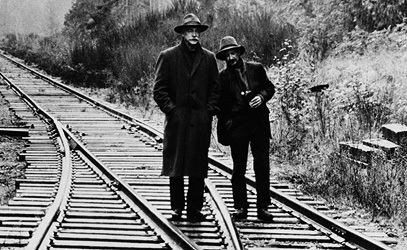 He becomes inspired when he sees the Edward S. Porter film The Great Train Robbery in 1903. Miner hooks up with a new partner, Shorty, played by Wayne Robson and they soon head north into Canada with a plan to rob the Canadian Pacific Railway’s Transcontinental Express. The attempt is botched and so changing his name, he passes himself off as a prospector in the sparsely populated interior of British Columbia. Despite his occasional horse rustling activity he befriends an RCMP officer and becomes romantically involved with a fiery feminist photographer as played by Jackie Burroughs. 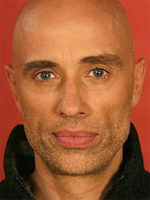 The release of The Grey Fox established Philip Borsos as a director of enormous talent. He was only 29 and this was his first feature-length film. Made for 4.5-million dollars, The Grey Fox was named Best Canadian Film at the 1983 Genie Awards and also won for Best Director, Original Screenplay, Supporting Actress, Art Direction and Musical Score. 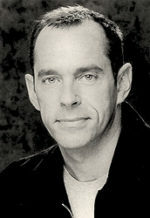 In the United States it was recognized with Golden Globes for actor Richard Farnsworth and was named Best Foreign Film. 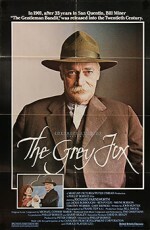 The poster for The Grey Fox was scanned from an original in The Northernstars Collection.